The stress and emotions that go along with the event of losing a loved one can often cloud the primacies of funeral planning. That is what the compassionate and experienced funeral directors at N.F. Chance Funeral Home and Cremation Service are here for. We have the resources, knowledge, and kindness you need to feel comfortable and protected. We will guide you through the entire funeral planning process, and organize a beautiful and memorable funeral that honors your loved one and preserves the purity of their departure. "After a death in the family, planning a funeral is tough, but the staff at Chance Funeral were so amazing. They helped us arrange our father’s service and it was beautiful. It was just the way he would have wanted. They are so attentive to their clients needs; it was like we were family. Their prices on caskets and services are some of the most competitive in Indianapolis; which is one reason we chose them initially. They proved they are the funeral home to trust in Indianapolis. 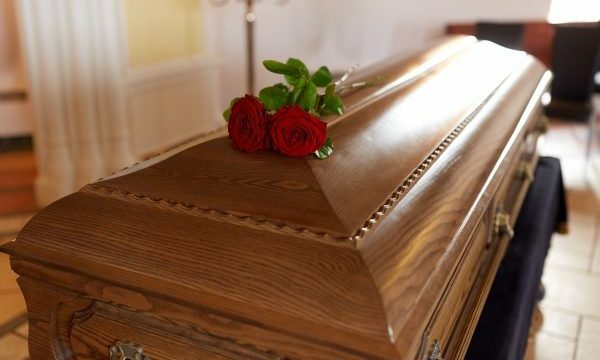 We have found our funeral home for years to come, If you need to plan a funeral, call Chance Funeral because they are so great with clients and families and offer reasonable rates for their services." "Just want to say thanks..to ..all of you for your blessings and wonderful..service.."
We have been providing professional funeral ceremonies and services in Indianapolis for over 50 years. Our funeral home directors are experts at customizing funeral arrangements, products, and services to fit your wishes as well as your budget. We offer everything from funeral and cremation packages, to casket rentals, urns, linens, florals, music, poetry, obituaries, and more. Trust us to deliver the most inspiring and rewarding funeral home services at a lower cost than you can believe! Planning funeral arrangements can be very stressful and time consuming if you do not have the right support during the process. Our skilled funeral directors have dedicated our lives to providing our services, for families in need all over Indiana. We want to make the process easier by preparing all the details for you. There is never any pressure to buy and we insist on giving you all the time you need to make your decisions. "N. F. Chance Funeral Home & Cremation Service has been serving the Indianapolis, Indiana community for over 50 years. We are dedicated to providing the highest standards of professionalism, dignity, and compassion in order to preserve the sanctity of your loved one's funeral. The founders, Norman and Edith Chance, established the home on the idea that funerals can be affordable, and still properly honor the loss of your loved one. So with prices fit for anyone' budget, our company has been able to provide beautiful and inspiring funeral services for thousands of wonderful families all over Indiana." Call N.F. Chance Funeral Home at 317-784-3546 to speak with an experienced Indianapolis funeral director you can trust. For over 50 years, our family owned and operated funeral home has provided compassionate and economically-priced funeral services for all races, religions, and ethnicities throughout Indianapolis, Indiana.